Since 2013, Allen Fitzsimmons has served as the CEO of Transitioning Forward, a Belchertown, MA-based company that helps its clients sell assets they no longer need. In addition, he is the owner of Talon Furniture Gallery in Massachusetts. In his spare time, Allen Fitzsimmons enjoys playing music, especially jazz trumpet. The trumpet has been an important instrument for jazz since at least 1894 when trumpeter Buddy Bolden was photographed with a jazz band. Bolden is often named as the first jazz musician for his innovative trumpeting, which combined influences from ragtime and blues. Trumpets may be seen as the key instrument for jazz partly because they can be so loud and serve as a natural lead instrument in a group. Trumpets have been recorded as early as 4,000 years ago in ancient Egypt and China and were originally used as a clarion call, for example in battle. The trumpet’s musical potential was first explored in the 16th century and became quite popular in the 16th and 17th centuries with the classical music of the time. 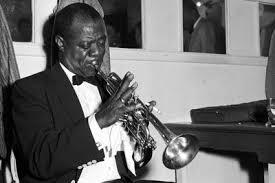 From there, its popularity waned until it found its jazz foundation in the 20th century when its clear, loud sound translated well to early musical recordings with jazz greats like Louis Armstrong in the 1930s.